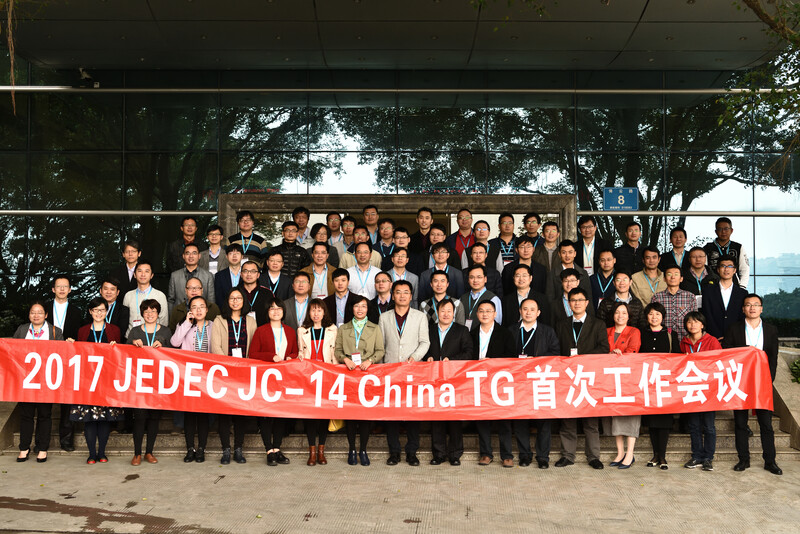 The JEDEC task group based in China is linked with JEDEC’s influential JC-14 Committee for Quality & Reliability. The TG was first proposed by JEDEC member Dr. Huifang Jiao from Huawei Technologies, and approved by the committee and the JEDEC Board of Directors. The task group’s objective is to establish a platform to assist Chinese companies with their participation in JEDEC. At its first meeting, hosted by Huawei in Shenzhen on March 18, 2016, approximately 40 participants from major semiconductor and ICT manufacturers were in attendance, including: Haier, Gree, TCL, SMIC, the China Electronic Product Reliability and Environmental Testing Research Institute, and The Computing Institute of the China Academy of Sciences. Engineers presented proposals on modifying existing JEDEC standards and developing new standards they believe would be beneficial to the industry. In addition, participants expressed support for establishing the group as a forum for exchanging views and information about common technical concerns.